Recently, my family went to the Mountain View College alumni annual camp meeting near Leesburg Florida. I work on the weekends so I wasn’t able to join them. I found myself alone that night in our four bedroom house so I made sure that all the doors leading outside were locked. I did not want to turn on the alarm system of our house because if I did, the alarm would go off if I simply just walked into our living room or into the kitchen. Nowadays I’m no longer scared of being alone but a moment like that reminds me of the time I felt alone and afraid. In the book of God’s providence, the volume of life, we were each given a page. That page contains every particular moment of our history. If I’d like to be delighted over a particular thing. I would usually go to the shelves of my memories and fondly look back on the time I grew up in the Philippines, on the days of my trekking adventures. Actually my first trekking activity was not intentional. It happened when I was 8 years old, the year I was in second grade, in a humble school and in a small town. The geographic location of my school offered a variety of activities after class, to a curious child who wanted to have fun before going home. Most of the students walked on foot between home and school. On the East and West side of my elementary school a little distance off, was a lazy river that seemed to be inviting young children who wanted respite. 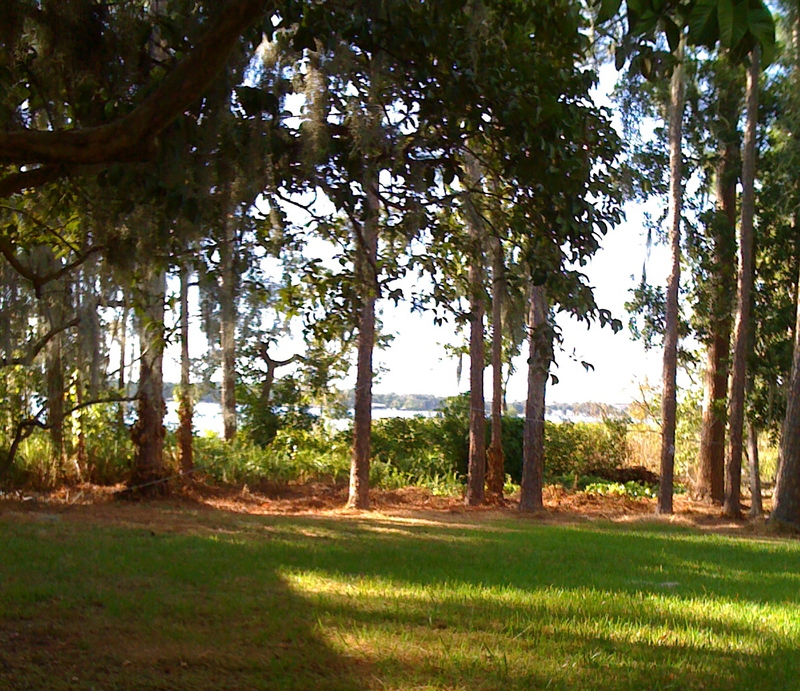 On the North side were meadows with chains of coconut trees conducive for camping and other outdoor activities. We usually play “Chinese Garter” in that meadow. The South side led to houses and roads leading to town. One hot sunny day, our class was dismissed early, around 3:30 in the afternoon. When I was about to leave for home, my attention was caught by two coconut flower sheaths (“uyo” by local name) laying on the meadow. I picked them up and looked around to see if I could find some more. 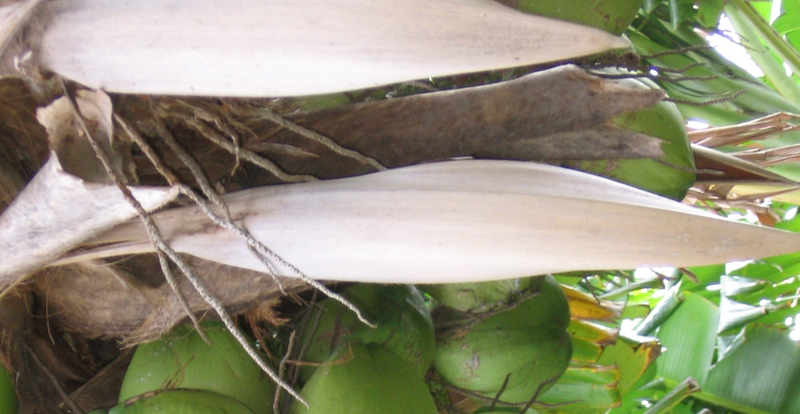 I walked north heading to the woods trying to spot more coconut flower sheaths. My mother said she liked to use “uyo” as wood. It burned well and was good for starting fires and cooking. photo taken under two guava trees near a lake while I was waiting for my daughter having her piano lesson. Satisfied with all the coconut flower sheaths I found, I decided it was time for me to go back home. Heading back, I had to pass under the dark woods again. However, this time it was different since I no longer had any fear. I traced my steps back towards my school almost running while carrying a school bag on my right, and bunches of coconut flower sheaths on my left. With my small feet and faster steps I reached home panting, just in time for dinner and proudly presented the treasures I got from the woods to my mom. She gave me a sweet smile and a hug. Which for me seemed to be an approval. This is really inspirational. My grandma once told me that prayers are very powerful. I almost drown in the river when I was young if I hadn’t prayed amid the panting and gulping of water. The Aura up there has his ineffable way of making us realize that He’s really the one we can lean on in our most dangerous times. I can’t narrate how that happened in detail but that was the time I can say I was literally carried by Him. It’s interesting how your story can be related to mountaineering where, just like what you narrated, clearing is a sign of relief for mountaineers. Whenever we are on that part of the mountain, we can’t help rejoicing and filling our lungs up with fresh air. And, that we are far from the lurking “entities” of the other world. I enjoyed that part where you were telling how scared you are when you realized you were already enveloped by, I may say, darkness. I can so feel the chills up and down my spine. Kudos for making your Mama happy. That’s one great deed that is worthy of emulation. School of the Light’ looked like. You’ve not only depicted through a wonderfully written piece how unspoiled and lovely the campus is, but brought back nostalgic childhood days when I still lived in Iligan . Hello Ms Hannah, I’m actually from Laguna, my husbands family are from Mindanao They attended the MVC alumni homecoming but I didn’t on the night I wrote this blog, My Elementary school is a very simple school but memorable to me. I believed we know each other since I was on the top of our bunk bed at MSH in our dorm during our nursing school almost 3 decades ago. You were a very nice roommate talented and very pretty too. I guess we know each other’s heartaches and both survived. As the French said Cest’ la vie.